Our album is available on bandcamp - on the web or as a pay-what-you-will download. Enjoy enjoy enjoy! Recorded at Your Heaven in Providence. A big Thank You to Steve Schwartz, engineer on these recordings. 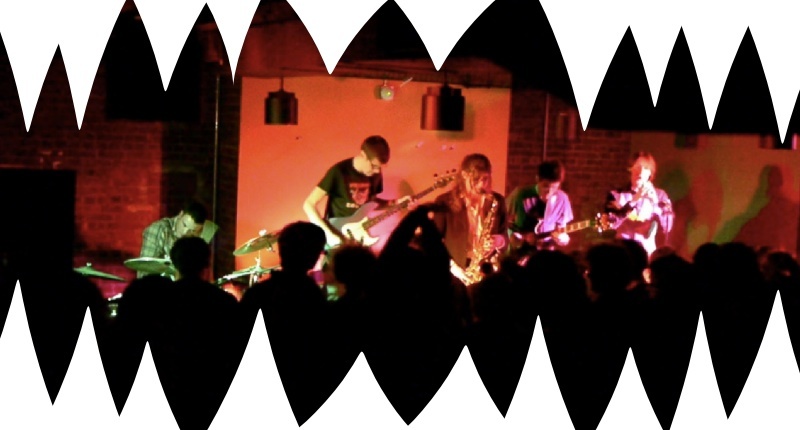 Megalosaurus was a Providence-based quintet that alternately soothed your ears with beautiful harmonies and then deflowered them with perilous descents into the abyss of electronic mayhem! Electric Jazz with unique electronic sounds and little bits of afro-beat, blues, samba and "hoedown" thrown in for good measure. Megalosaurus The Daffodil Killer is done, at least for now. But please listen to our recordings here, and if you want to hear more from some of the same crew, also check out recordings of A Belted Vinyl Monitor, Modest Megalosaur And Friends (a sort of reunion-ish show) and The Sam Lewin Nomad Band. Yes, we played every tune we know! Use Fullscreen and choose "720p" to watch in HD, or watch on youtube.